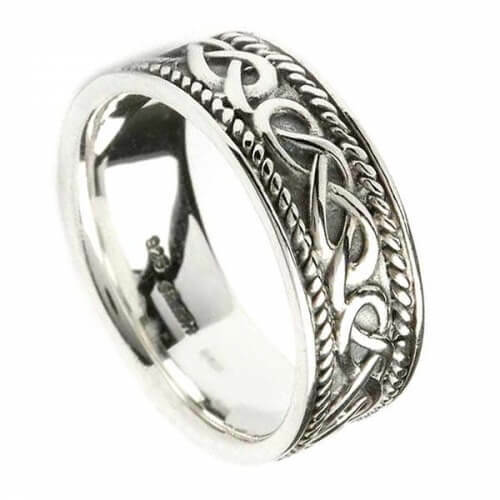 The Celtic knot is the center of the design, creating a winding motif and providing dimension to this powerful ring, while a twisted cord border pattern flanks the Celtic knots on top and bottom, giving the ring its rugged frame and finishing the band. 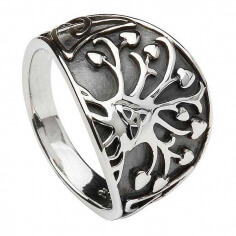 Simple and profoundly straightforward, the Celtic knot design ring embodies traditional Celtic masculinity with modern design. 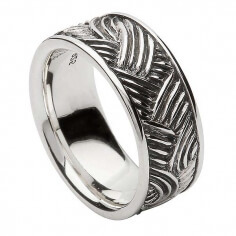 Handcrafted by vastly experienced Irish artisans and hallmarked in the Dublin Assays Office, this ring is quality throughout. Wonderfully presented in a luxury ring box.